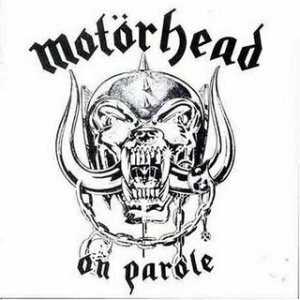 MOTORHEAD - ON PAROLE REMASTERED (CD) | Online Shop | Wizard LTD. Album: "ON PAROLE REMASTERED (CD)"
On Parole is the debut recording made by English heavy metal band Motцrhead. It was originally recorded in September 1975, but United Artists was not convinced of the album&apos;s commercial potential and did not want to release it. Originally intended for a 1976 release date, the album would not be released until three years later. This is the only album to feature the band&apos;s original line-up of Lemmy on vocals and bass, Larry Wallis on guitar and vocals, and Lucas Fox on drums. During the sessions, original producer Dave Edmunds relinquished his duties being replaced by Fritz Fryer. Drummer Fox was then replaced by Phil "Philthy Animal" Taylor, a casual acquaintance of Lemmy&apos;s who had been persuaded to drive him to Rockfield Studios. Taylor overdubbed all of Fox&apos;s tracks except for "Lost Johnny" as he was being held in custody following an arrest for alleged drunk-and-disorderly conduct when that session was due to take place. Of the tracks, three ("Motorhead", "The Watcher" and "Lost Johnny") were re-recordings of songs Lemmy had written and recorded with Hawkwind, "City Kids" was a re-recording of a Wallis track co-written and recorded with The Pink Fairies, "Leaving Here" was a cover version of a Holland/Dozier/Holland Motown song Lemmy had learned whilst roadying for The Birds. "On Parole" was recorded and released by Larry Wallis, who was backed by two members of Eddie And The Hot Rods; bassist Paul Gray, and drummer Steve Nicol as a b-side to the Stiff Records "Police Car" single in 1977, after this album had been recorded but prior to its release. Lucas Fox – drums on "Lost Johnny"